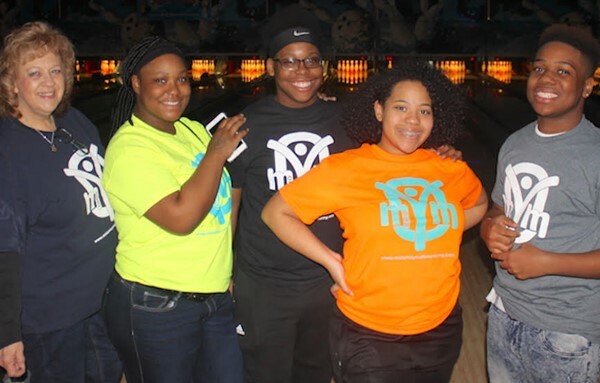 Adviser Louise Yochheim stands with Key Club bowlers Ky’rianna Hamilton, DJ Lindsay, Branisha Collins and Perrell Cameron. The Mansfield Senior High Key Club participated in the recent “Spare a Little for Kids” fundraiser for the Mid-Ohio Youth Mentoring program at Lex Lanes. The Key Club bowlers – The Roaring TYgers – contributed $250 through sponsors and club donations. “The event was a huge success with a total of $27,000 raised,” club adviser Louise Yochheim said. After a first game for the highest score, bowlers were challenged to use their opposite hands, throw the ball between their legs or cover their eyes while bowling. “Scores may not have been high, but spirits, laughs and cheers filled the bowling alley,” Youchheim said.